Gen Fyansford has some great views. Some of Geelong’s finest views looking out over Queens Park and towards the Barrabools have recently been auctioned with the launch of the Pinnacle Newtown release, part of the Gen Fyansford residential development. 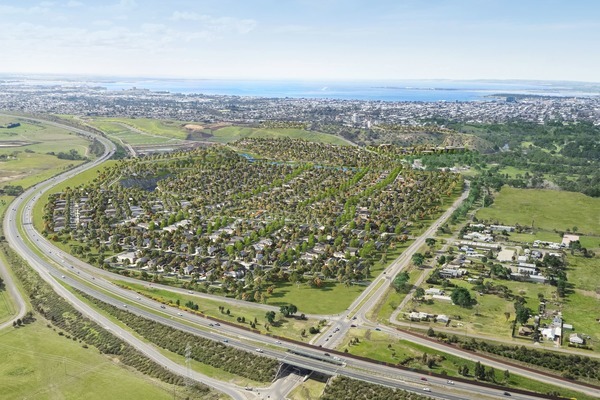 Gen Fyansford is the premium master-planned residential and mixed use community located within the existing township of Fyansford on the western end of metropolitan Geelong. This latest release, Pinnacle Newtown is located in a prized position within the Gen Fyansford Estate. Marketed towards Geelong’s high flyers looking for something quite unique within the Geelong area, the auctioning of these first prime blocks of the Pinnacle Newtown Release has captured a lot of interest. This is largely due to the fact this is a much sought after elevated position in the estate, coupled with the very generous block sizes ranging from 691sqm – 1,260sqm. Adding to the local interest was the fact the successful purchasers on the day were offered the opportunity of a helicopter ride, courtesy of Gen Fyansford. This was to experience the breathtaking views of the surrounding area, and highlight how close their new home will be to the Geelong CBD (around 10 minutes away) as well as the beautiful neighbouring waterfront. The Gen Fyansford project is currently being developed by ICD Property, a Melbourne based property developer, in conjunction with Supalai, a Thai-based land developer. At the completion of the development, Gen Fyansford is expected to comprise around 1,000 lots complete with its own town centre offering a number of retail and commercial uses with immediate access to a grocery store. Gen Fyansford will also offer residents landscaped private parklands, a man-made lake, children’s playgrounds, and a number of walking and bicycle paths, as part of the rejuvenation and landscaping of Moorabool River. 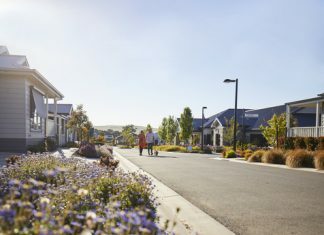 Speaking to Michael Mai, Managing Director of ICD Property, it’s clear that care for the local surroundings is right at the forefront of planning for the Gen Fyansford community as a whole. “We are excited by opportunities presented by the natural amenity of Fyansford,” Michael says. For more information on Gen Fyansford or Pinnacle Newtown Release please contact Brett Thompson at 0425 860 392.